How many times have been totally rocking a new diet, getting results and feeling good about yourself—only to have a craving come on that is so strong, you’re certain you must be possessed by demons. You find a way to rationalize that eating these four cupcakes will somehow help you in your weight loss long term. You tell yourself that if I just allow myself to eat this one tub of Chubby Hubby ice cream, I’ll be perfect for the rest of the week. Cravings destroy more diet efforts than any other single factor. If you never craved bad foods, any of the thirty diets you have probably tried may have worked for you. There are actually a number of causes for severe cravings. In this article, I’ll explain the issue that is usually responsible for cravings for most people; especially if you normally crave sugar, chocolate, carbs or salty foods. There are a number of circumstances that can cause blood sugars to go too low. When a person’s minerals and sugars go too low at the same time, this is the most common cause for cravings. This is usually why people crave salty foods, sweet and sugary foods, or carbs like bread, pizza or crackers (that can be converted to sugars). The body isn’t so dumb. If salts are low, you can buffer them by raising your sugars and you’ll be fine. The reverse is also true. If sugars are low, you can buffer them by raising your salts. The cravings are your body’s way of helping you to raise either your salts or your sugars in order to keep you from pushing toward seizures. Where most people think that something is wrong with them, or they just have no willpower, the truth is you can’t compete with a body that knows how to get what it needs to continue functioning properly. Does that mean that these sugars or carbs are good for you? No; but don’t you think your body would be more concerned with not having seizures than it would be with gaining weight? Doesn’t it make sense that if the body recognized a “looming seizure” that would basically shut down the whole system, it would take steps to keep that from happening? I’m not saying that if you’re craving Oreos you’re about to have a seizure. It just means the body is very defensive when it comes to having seizures, and it plans way ahead of time by sending out the signal for more things that can thicken the bloodstream and raise the minerals or the sugars. Your body doesn’t know that you have cereal in the cupboard thirty feet away. It still operates under the assumption that you need to go out and hunt down a zebra or track down berries somewhere. Believe it or not, the body was not designed with “Special K” in mind. The body may be feeling a little panicked about the low resources. The body may be sending a signal that you interpret as, “Hey… you… go to the store and get some double fudge ice cream and a box of those Nilla Wafers.” This urge doesn’t mean that a seizure is about to kick in. Even if you didn’t eat anything else for another ten to twenty hours or more, you likely could still avoid a seizure. If you’ve been struggling with your “relationship” with food for most of your life, you may have just received the biggest piece of information you will see in years. Again, a lack of minerals is not always the cause behind your cravings; it’s just the most common. But the same goes for almost any craving. If you’re having a craving, your body is looking for something that it needs, and your craving is merely your interpretation of that need. Your body could be needing fats or specific amino acids or vitamins. The possibilities are countless. The cravings can be difficult enough to deal with, but it’s when those cravings result in a binge extravaganza that the situation can really take a turn. Is it starting to make more sense as to why, once you eat a few bites of something that can lift your sugar levels, that you lose all control and have to eat the whole bag, bucket, or dumptruck full of brownie bites? Once your body sees, “Yes, we can use that to make sure the whole system doesn’t crash! Let’s bring in a crap-ton of this stuff just in case this idiot goes too long without eating again.” It’s really not that you have no willpower to stop, it’s just that your body knows how to put safeguards in place to ensure the system can continue to function. Using unrefined salt (like sea salt). Correcting any digestion problems that are keeping the body from properly breaking down food, so the mineral content can be assimilated by the body. If you’re not digesting correctly, you’re not getting the minerals out of your food. The first thing to look at is your blood pressure. You want to check your blood pressure while you are relaxed, at least 2 hours after a meal (but not first thing in the morning). 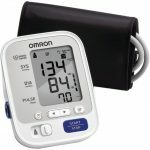 If your systolic blood pressure (the top number on most automatic blood pressure cuffs), is less than 112, that is a strong indication that you may be dealing with low mineral levels. The next thing to assess are digestive symptoms. Do you have any symptoms that could indicate that you may not be properly breaking down your food? If you can’t properly break down your food, you can’t pull all the minerals and nutrients out of that food. Your body can’t use a peanut butter sandwich any more than your car can run on crude oil. Your body must break that peanut butter sandwich down into vitamins, minerals, amino acids, fats, etc. It’s these usable nutrients that your body is truly looking for. I know! Those symptoms are very common. It’s also very common for an individual to have less than optimal digestion. Taking steps to improve those digestive symptoms will often lead to the body’s ability to better assimilate nutrients. When the body can assimilate more nutrients from the food you’re eating, cravings often improve, or vanish altogether. Below, I outline some steps you can take to improve specific digestive issues. 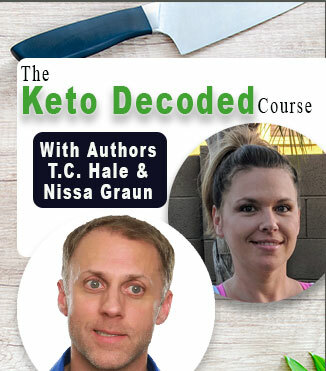 If at any time, you feel overwhelmed or confused, know that we have an almost free onine digestion course that will walk you through all these steps with videos and simple explanations. We basically built it as a free course for our book readers, but we charge 50 cents to keep out all the spam registrations. So, yes, you’re going to have to spend an entire 50 cents to take that course. You can register for that course here. You can also download our free Digestion Assessment Guide to get a better idea of which aspects of digestion may need the most help according to the symptoms you’re dealing with. 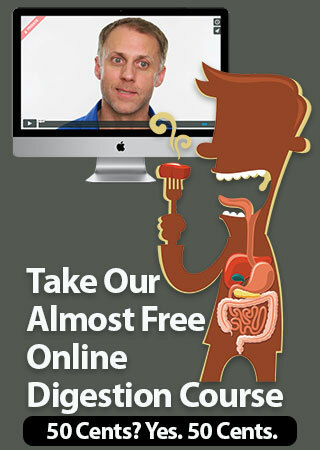 The following video will help you understand how digestion is intended to work. This is important stuff when it comes to cravings! Most digestive symptoms can indicate the possibility of either a lack of stomach acid, or poor bile flow. 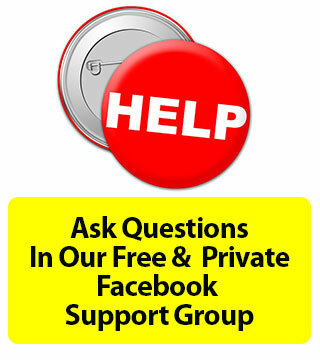 The free digestion assessment guide you downloaded above can help you determine what sides of digestion might need some attention for you. To improve stomach acid, most people use Betaine HCL supplementation. To improve bile flow, most people use a product called Beet Flow to help thin the bile so it can flow better. Some individuals may also need to use either coffee enemas, or coffee suppositories to help dilate (open up) the biliary pathway so bile can move with more ease. I will explain how people use these supplements below. Most people use 2-3 Beet Flow per meal to help thin bile so it can flow better. It’s important to use Beet Flow, or to ensure you have bile flowing well if you’re going to use HCL supplements. It can be a good idea to make sure there is enough bile to neutralize stomach acid before you add additional stomach acid. Beet Flow is not available in stores and is only sold through qualified health professionals. The manufacture has agreed to sell Beet Flow online on NaturalReference.com only to T.C. Hale’s book and newsletter readers. With this product, many people have reported getting a good boost when performing what is called a Beet Flow Flush. About an hour after a meal, they take 4 Beet Flow capsules every 30 minutes, for 2 hours. a total of 4 doses. It seems to be an effective way to give a boost to thinning the bile so it can flow properly. Most people use these suppositories in conjunction with Beet Flow when bile flow seems to be more stubborn and more effort needs to go into correcting the problem. Using a coffee suppository the day before, or the day after doing a Beet Flow Flush seems to be an effective practice for many people. The dosage for Betaine HCL can be more complicated and it is important that you read the instructions on how it often used. HCL can be found in most health food stores. *** HCL Warning *** If you’re going to use HCL, be sure to also use Beet Flow (explained below in You Need Good Bile Flow) or a similar product. I never allow any of my clients to use HCL unless they are also using Beet Flow. If you don’t have your bile flowing correctly and you add more acid into the stomach, you could create a duodenal ulcer or diarrhea issues. I cover all of this in more detail in chapter four of my book, Kick Your Fat in the Nuts. I just want to make sure you understand not to use HCL without also using Beet Flow. It is also imperative to read How to Use HCL Supplements below before you begin supplementing with HCL. HCL capsules should always be taken in the middle of the meal and chased by at least one bite of food. If the capsules were to get stuck in your esophagus and dissolve there, it could feel like heartburn. Start by taking one capsule with a meal containing no starches. This means avoid foods like potatoes, bread, pasta, cereal, rice, etc. If you don’t feel a warming sensation in your stomach, or any other new digestive discomfort, about twenty minutes after the meal, you know it’s okay to move up to two capsules at your next meal. You can continue in this manner until you reach a maximum of five capsules per meal. If you experience any diarrhea or loose stool issues after you begin to use HCL, reduce what you are taking until you can improve your bile flow. If you have more acid than your bile flow can handle, that can create a loose stool issue. This may not mean that you don’t need the acid, you may just need to improve your bile flow before you can handle more acid. If you experience this issue, read more about loose stool issues in chapter four of my book, Kick Your Fat in the Nuts. Some people will never feel a warming sensation and that is okay. If you no longer feel bloated after meals and you are no longer having little burps, any reflux issues, or any digestive discomfort, you can try to reduce your dose at that time and see how you do. You may be able to eventually reduce to zero capsules and your body will continue making enough HCL on its own. If you experience magnified acid reflux when you begin using HCL, be sure to listen to our podcast episode on Acid Reflux below.